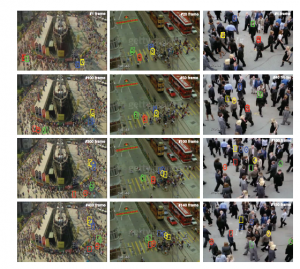 abnormal crowd detection to tracking individuals in crowded scenes. Fig. 1. 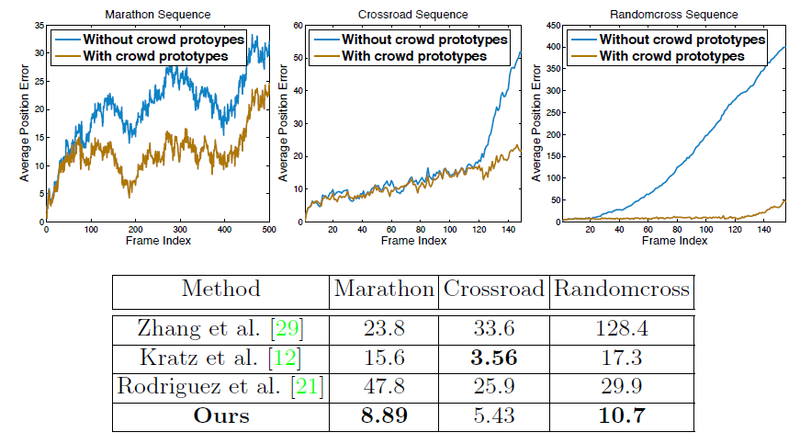 Illustrative example demonstrating that crowd patterns are difficult to learn with basic sparse coding (left). Patterns of crowd behavior tend to be complex and difficult to represent using only local rules. 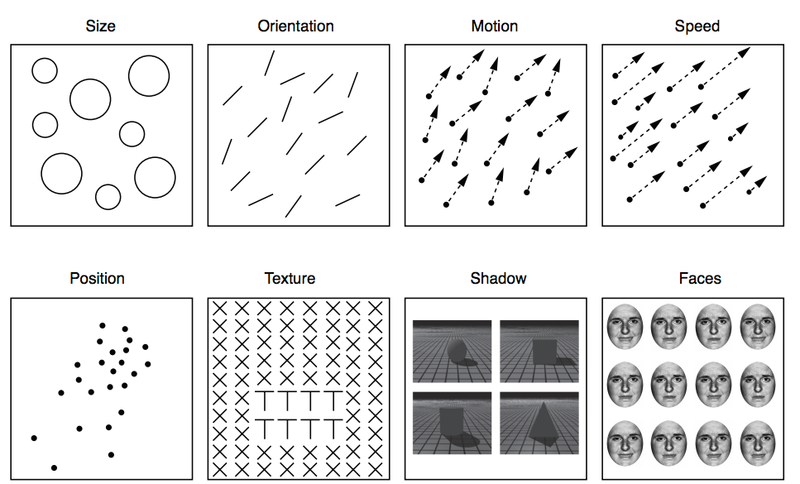 In this work, we build a feedforward hierarchial models for crowd perception using a novel sparse prototype learning method (right), which incorporates structural and coherence constraints to learn richer, more meaningful, crowd patterns. 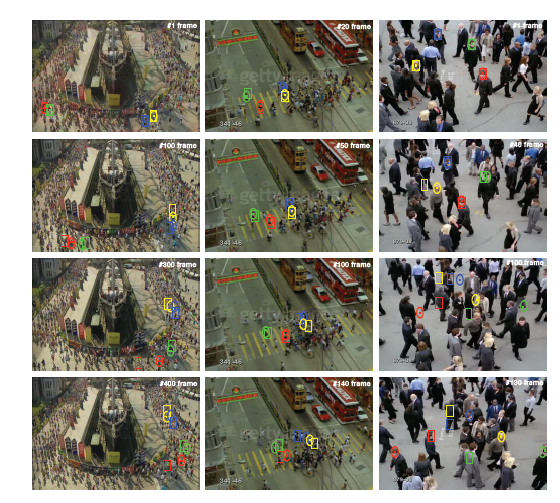 information from multiple walkers to estimate the movement of a crowd  (Top). 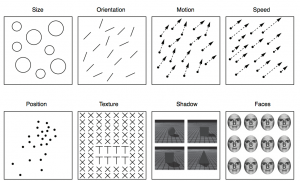 representation of the motion processing hierarchy based on a sparse coding model. we propose to learn crowd prototypes via sparse coding methods. Fig. 3. Sketch of the proposed hierarchal model for crowd perception. ensemble coding in the form of two additional penalty terms. Structural neighborhood cohesion term: forces input patterns to converge towards a similar interpretation. Neighborhood manifold coherence term: incorporates explicit pooling mechanisms over output vectors to yield a locally more stable code. Fig. 4. Illustration of prototypes for 5 iterations. Fig. 5. 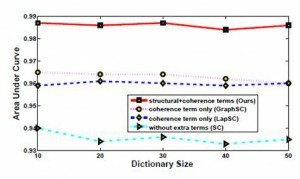 Evaluation of the different penalty terms used in the proposed optimization function. Table 1. AUC measures for the detection of abnormal behavior on the UMN dataset. seen in color) indicating the closest prototype for the corresponding location. score C and the “normalized velocity” V (see text for details). using the average position error computed over entire sequences. [HBU2014@ECCV] Yanhao Zhang, Shengping Zhang, Qingming Huang, Thomas Serre. 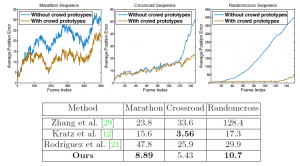 Learning Sparse Prototypes for Crowd Perception via Ensemble Coding Mechanisms. 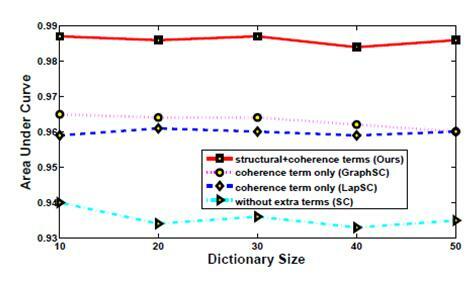 Cong, Y., Yuan, J., Liu, J.: Sparse reconstruction cost for abnormal event detection.